Pedale pelos pontos de referência históricos de Deli, mesquitas majestosas e bazares animados neste passeio de bicicleta de 3 horas e meia, incluindo café da manhã e uma escolha de dois itinerários diferentes. Navegue pelas ruas labirínticas de Old Delhi, parando para tirar fotos do Forte Vermelho, listado pela UNESCO, espreite o bazar Chandni Chowk e beba chá pelas muralhas da cidade velha. Alternativamente, passe pelas mansões coloniais de Nova Deli, veja o marco da Índia Gate e navegue pelas barracas no Mercado Bengali. Essa excursão para grupos pequenos tem um máximo de 10 pessoas para uma experiência personalizada. This was a fun, gritty tour of Old Delhi. My driver and two guides were excellent. They kept me safe and showed me a side of Delhi I would not have seen on my own. Thanks! This was a real good bike tour. I have been trying bikes tour all around the world and this is one i can certainly recommend. Unfortunately I do not remember the name of the guide but he was really good giving information and showing around. Even if Dehli is a very difficult city to bike I felt secure and protected. There were always a guide in the front and on in the back. Both of them very friendly and welling to help you anytime. The places we visited were really interesting and beautiful to take some good pictures. I do really recommend this tour it will show you places and have the opportunity to meet the locals in a way you could never do by your own. Our tour guide was great. He is fron Tibet but was born in India. He took care of us and showed us the old part of Delhi. It was definitely an experience we have never had before in our lives. I truly enjoyed the bike tour of Old Delhi with Tenzin and his team from Delhi by Bike, on a tour I took in late August 2016. Tenzin takes the tour to places a typical tourist might not find or be aware of, including climbing stairs to roof tops for cool views of the neighborhoods of Old Delhi. Biking through the narrow walkways and enjoying the sights and sounds and the array of people within Old Delhi was amazing. We enjoyed milk tea and a traditional Indian breakfast on two different stops. I experienced the trip with a very friendly German family, which made the ride even more pleasant sharing the outing and many sights with them. Tenzin and his team keep a close look out for the riders, and make sure everyone is kept safe and taken care of. 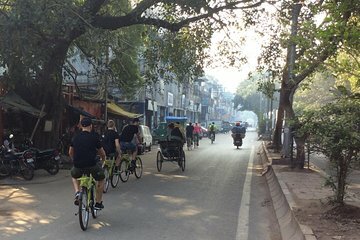 If you want a little adventure through Old Delhi, then take this bike tour I highly recommend it!!! I opted for hotel pick-up and return, which is well worth the added cost. This bike tour was my last excursion after a 30 day adventure through India, and just prior to catching a flight to U.S.A. later that same day, so it was a nice way to get some outdoor activity before taking a long plane ride home. Thank you Tenzin and team for making my last tour such a unique and memorable experience and thanks for forwarding the photos too!.  I booked the trip through Viator, which is a very convenient, fast, and simple way to book. i had a great time was able to see delhi in the morning like it really is, i wish the excursion would last longer. it would nice too if the bike ride started sooner by an hour or so. the guide was nice and imformative. The tour itself was exceptional. What didn't impress me was your Take a Penny - Take a Dollar actions!! As I posted on your Facebook page, I was not impressed with being charges 73 by you when my fellow Tourist there were just the 2 of us plus Guides had booked directly with the Tour Operator and paid 25. How do you justify the extra nearly 50 dollars ? For your services ? So Tour 10 out of 10. Viator 0 out of 10.